Syncing reports between our testing and productions environments was always a hassle. SSRS provided no easy means for this. Here is a tool I developed the easy the task. It has become quite popular since I first uploaded it last year. There are a lot of features still pending to be developed. 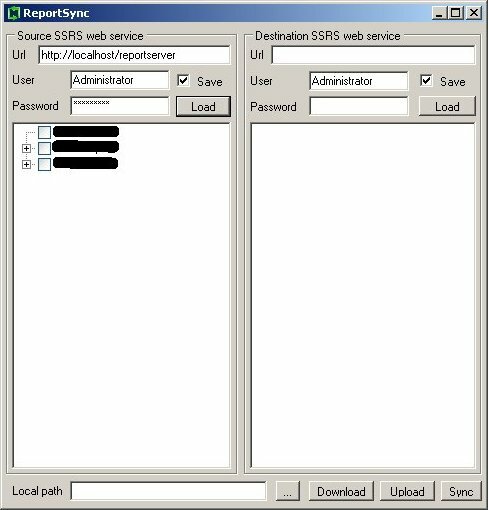 You only need to tell reportsync the reportserver url of your ssrs server. And give it a user credentials to log on to the server. If you are not sure what your reports url is, you can find this in your Reporting Services Configuration Manager. My name is Pascal Nunes. I live in Vasai, India and work as a Technical Architect. Known on the internet as nunespascal, this is where I rant about life, programming, experiments and travel.